Today i would like to share an interesting post which is consider on how you can boost up your Google search CTR (click through ratio). Most newbie blogger have an doubt that how they can increase their Google SERP’S. If your blog doesn't get high clicks than don’t need to be upset, here i would like to share how you get traffic for you blog and how you can increase your blog search CTR in 2013. Let’s have a look! 1) The first tip is to remove time and date from your blog. Go to setting option and change the setting of you template. Do not give and mention the date within your post otherwise you loose your visitors. Immediately remove the date and time. 2) The second and most important tip is to become an Verified Google author by taking Google Authorship for your blog or site. Try to create such content that Google will trust and also you should apply for Google AdSense. 3) You have to update your blog daily. Never depend on others, don’t wait that someone submit you an guest post and you can publish it. Do regular guest posting and maintain your blog. As you see traffic is much important for any blog/website. So update your blog. 4) Keywords play an vital role in the field of blogging as we all know. So try to improve your keyword density for your blog. Always choose an highly targeted keywords for your blog. Do not choose an useless keywords like is, of, we etc. Try to increase your keyword density upto 10%. 5) Always give an meta description to your blog content. Whenever you write an article for your blog, after writing it, fill the blocks which contain meta description, labels and permalink. 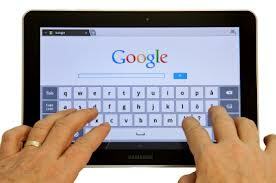 Its very important because it will decided where should your post stand in Google SERP’s. Earlier i thought that meta description is not any worth, not important for blog but now i realized that how much the meta description! 6) Try to get as many backlinks as you can. Do guest posting and grab as much backlinks as you can. Do commenting on different blogs and generate backlinks. Always try to got only for those backlinks which are having huge traffic, a good Page Rank (PR) and popular among all over the world. 7) You can also use the star rating for your blog. You can show an Star Rating in Google search index to get new look for your posts while reviewing it. It look’s attractive and people will think that you are an skilled blogger and know how to review your article among others. Increase your blog crawl rate.